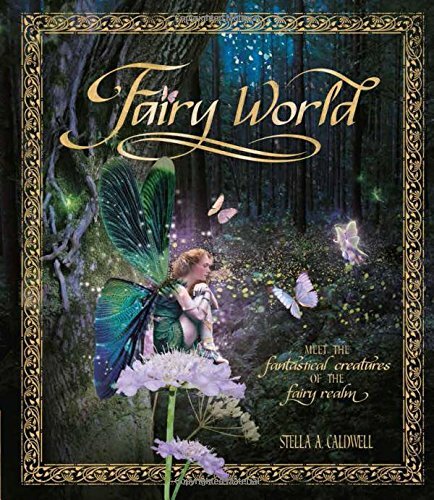 Summary: Stella Caldwell presents herself as an expert on fairies who has traveled extensively to study these magical creatures. Her definition of “fairy” extends to a variety of creatures including pixies, boggarts, elves, and many others. She has included several “case studies”, relating stories in which she was called upon to investigate a human interaction with a fairy. The oversized book is set up almost like a scrapbook, lavishly illustrated with labeled pictures of items associated with magical folk, such as wings and flowers. There’s more than a hint of danger in associating with these creatures; many will help humans but can play tricks or worse if the people aren’t properly grateful. The final two pages tell of fairies stealing children and replacing them with changelings who can eventually be trained to fit in to the human world. 80 pages; grades 4-7. Pros: Fantasy fans will want to spend lots of time poring over this book. There is so much information, presented in a variety of ways, as well as gorgeous artwork. 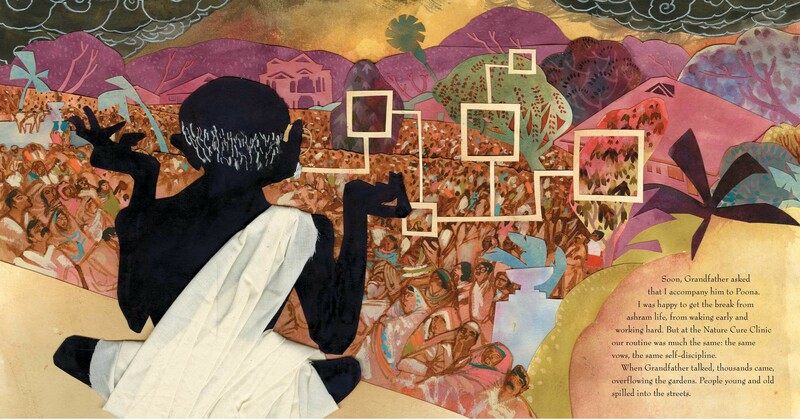 In each chapter, there’s at least one wordless two-page spread illustration, suitable for framing. Cons: Definitely for older kids…the fairies here are far more “Spiderwick Chronicles” than “Rainbow Magic”. 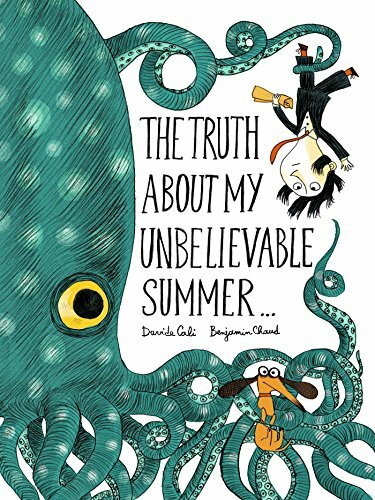 Summary: When a boy’s teacher asks him, “So what did you do this summer?”, he spins an increasingly fantastic tale. It starts with him finding a message in a bottle which turns out to be a treasure map. 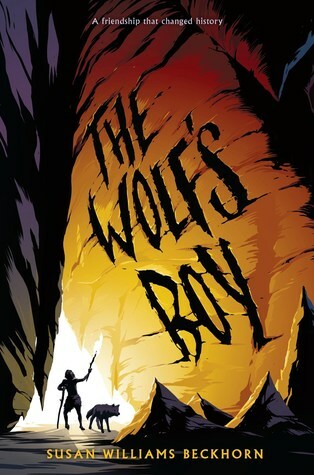 He ends up on a pirate ship, in a submarine, scaling the Great Wall of China, being chased by mummies in Egypt, and much, much more. He concludes the story by saying to his teacher, “So you probably don’t believe me…right?” The next page shows his teacher busily drawing something at her desk, with the caption, “Three months earlier…”, and then [spoiler alert] tossing a bottle with a paper inside toward the boy at the beach. 44 pages; grades K-3. 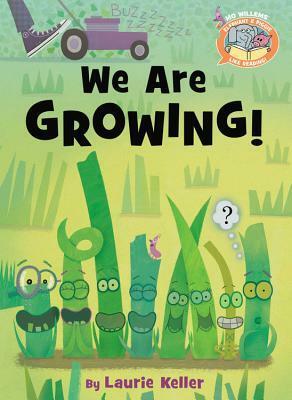 Pros: A fun story that could inspire kids to come up with their own tall tales. The pictures are crowded with action. Readers will laugh at the final plot twist. Cons: The small size of the book and the unappealing appearance of the protagonist turned me off from reading this for quite a while. 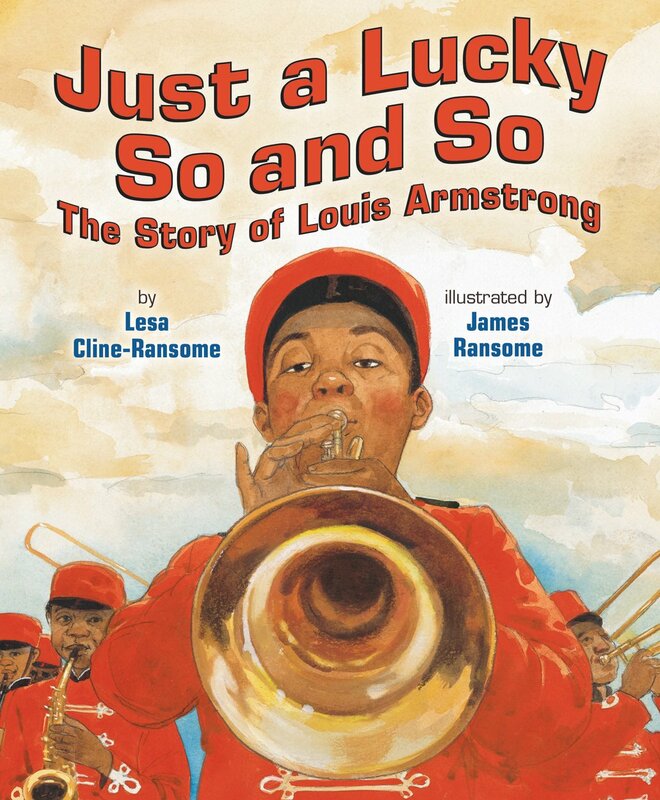 Summary: Louis Armstrong considered himself to have led a lucky life, but his early days weren’t always so auspicious. Born in The Battlefield, a tough part of New Orleans, young Louis started working at an early age to help his single mother. He was surrounded by music, and a pawnshop cornet allowed him to begin to make his own tunes. After shooting off a gun on New Year’s Eve, Louis was sent to reform school, where he worked his way up to bandleader. After his stint there, he returned to his old neighborhood and pursued his career in earnest. The book ends with him newly arrived in Chicago, being cheered on by the crowd to come forward and blow his horn. A full-page author’s note gives more information on Armstrong’s life, and another page has resources for further research, including places to visit. 40 pages; grades 1-4. Pros: The large, full-color illustrations nicely complement the somewhat spare lyrical text. The end matter gives plenty of material for researchers. Cons: The large number of people and places in a relatively short story was a little confusing. Also, the quotes from Armstrong throughout the text aren’t cited. 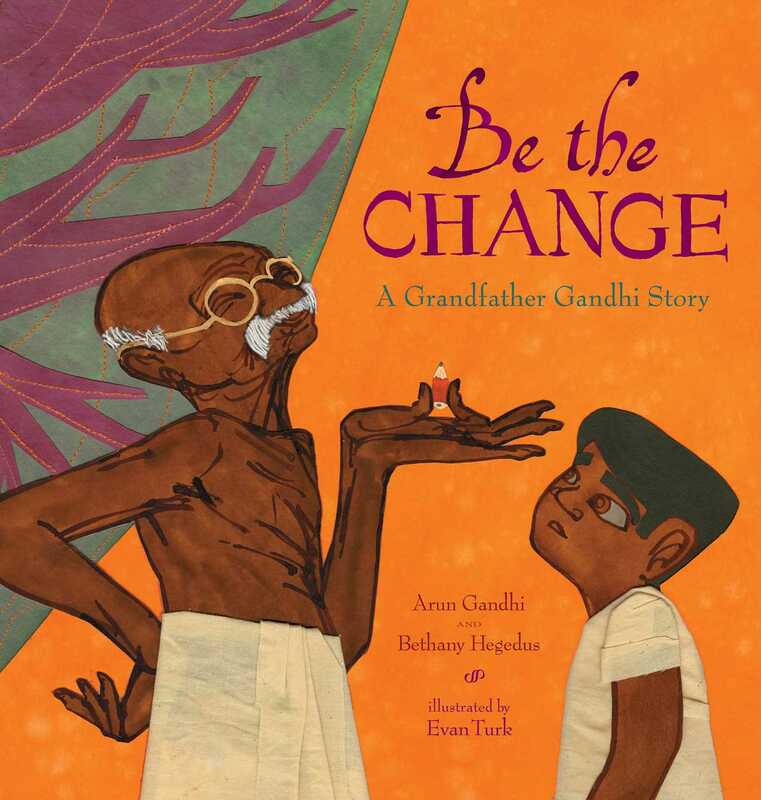 Summary: In this companion to Grandfather Gandhi, Arun Gandhi tells of his experiences as a child living in the ashram started by his grandfather, Mahatma Gandhi. The ashram, devoted to living simply and nonviolently, had eleven vows. The one young Arun struggled with the most was the vow not to waste. One day, he threw away a stub of pencil and went to his grandfather to ask for a new one. Big mistake. Grandfather told him he had to look in the tall grasses where he had thrown his away to find it. His grandfather then had Arun create a tree on the wall where he would add “leaves” that were acts of passive violence, like wastefulness. As the tree grew, so did Arun’s understanding of how his actions, even ones that seemed harmless, could create violence in the world. Eventually, he came to see the truth of some of his grandfather’s most famous words, “Be the change that you wish to see in the world.” A note from the authors explains more about not wasting resources, and there is a “Be the Change Pledge” for readers to make. 48 pages; grades 1-5. Pros: Difficult concepts are related from a child’s perspective, strikingly illustrated by Evan Turk. With adult guidance, kids will come away from this book with new perspectives on what constitutes nonviolence and how they can help create peace in the world. Cons: There’s a lot for young readers to grasp. Summary: “10 ants weigh the same as 1 ladybug. 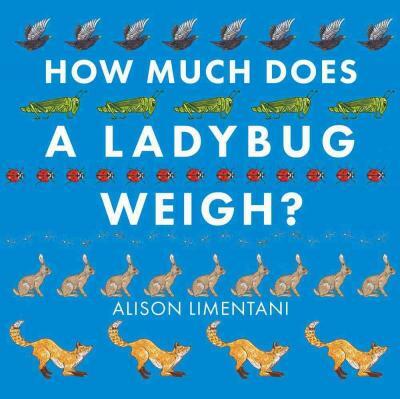 9 ladybugs weigh the same as 1 grasshopper.” And so this book goes, counting down from 10 to 1, with each page showing a progressively larger animal that weighs the same as that number of the animal from the preceding page. The final, largest animal is a swan, which weighs the same as 362,880 ladybugs. The last page shows all the animals with each one’s weight shown in ounces or pounds. 32 pages; ages 3-6. Pros: A fun introduction to weight and relative sizes for the youngest readers. The simple, cute animal illustrations will make this an easy sell. Cons: You’ll need to look elsewhere for an introduction to units of measure and other information about weight.